Nina joined Hanna Brophy in 2015. 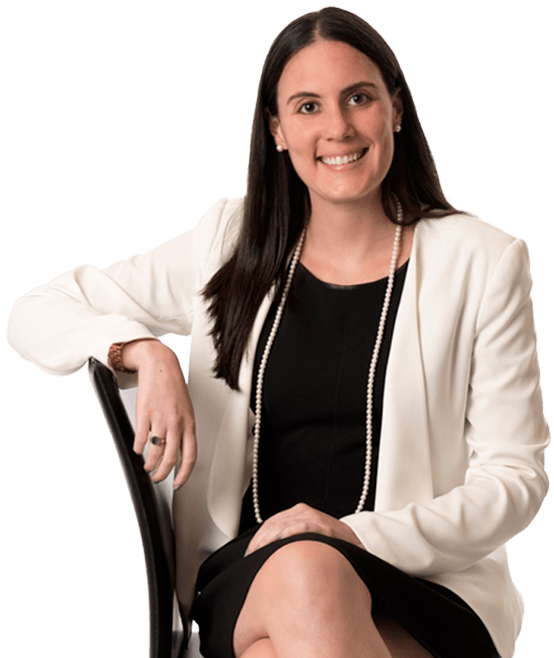 She defends workers’ compensation claims for self-insured employers, sports teams, insurance carriers, and governmental entities. Nina prides herself on building relationships with clients. Nina received her J.D. from the University of San Diego School of Law. During her time at USD, she volunteered with the USD Entrepreneurship pro bono legal clinic. She received the 2015 Graduation Award for Outstanding Clinic Intern for her work with the Entrepreneurship Clinic. During Nina’s time at USD, she worked for a global law firm in their tax controversy department. Nina was also a legal intern with a major sports conglomerate in the sports marketing and legal promotions department. Prior to law school, Nina graduated from the University of Wisconsin-Madison, where she studied communications, television, and film. In Nina’s free time, she enjoys spending time with friends and family. She plays tennis and practices yoga.